The sudden death of Alexander McQueen is sending shockwaves around the fashion world and Hollywood. McQueen designs were a favorite among fashion trendsetters like Sarah Jessica Parker, Lady Gaga, Rihanna and Penelope Cruz. He was also set to show McQ’s fall 2010 collection, McQueen’s contemporary label, at New York Fashion Week today, but it was cancelled. 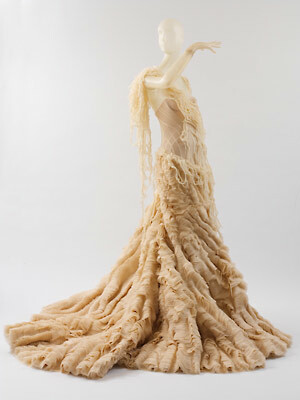 British fashion designers have always been known for their risqué, daring, outrageous and sometimes bizarre take on fashion; McQueen was no exception. Starting in London’s West End, he created his own label in 1992 where his clients included Prince Charles and Mikhail Gorbachev. In 1996, he became head designer for the prestigious Givenchy design house. In 2000, he re-launched his Alexander McQueen line after Gucci Group acquired 51% of the company in a partnership deal with McQueen, who remained the creative director. McQueen had his own boutiques in New York, London, Los Angeles, Milan and Las Vegas. McQueen built an empire with his bold fashion and irreverent British bloke behavior. His antics and early designs earned him an early reputation of “L’Enfant terrible”, but it wasn’t long before his genius would overshadow his tomfoolery. 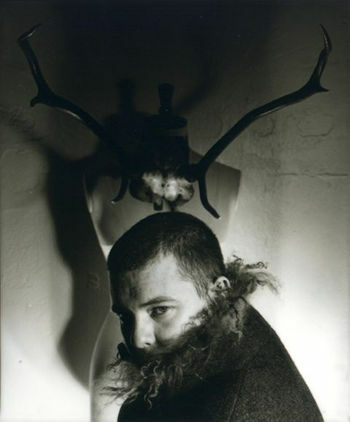 McQueen was one of the youngest designers to named “British Designer of the Year”, a title he won four times between 1996 and 2003. It has been reported that McQueen’s death is an apparent suicide. He was scheduled to attend his mother’s funeral Thursday morning; she died on February 2. The death of Alexander McQueen stings now, as the shock of his demise is still being absorbed. The true effect of his death is still to come. The company will rally, announce a new creative director and continue on his legacy, as Versace did after the horrific murder of Gianni Versace in 1997. However, no one will be able to replace the talent that was Alexander McQueen. We did not just lose a great designer; he was a visionary with a distinct voice. Today we lost an artist.